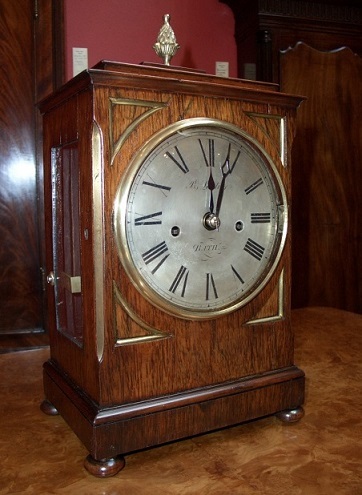 Regency period chain driven twin fusee rosewood bracket clock of small proportions, striking the hours on a silvered cast brass bell. Made by Benjamin Lautier from Bath. 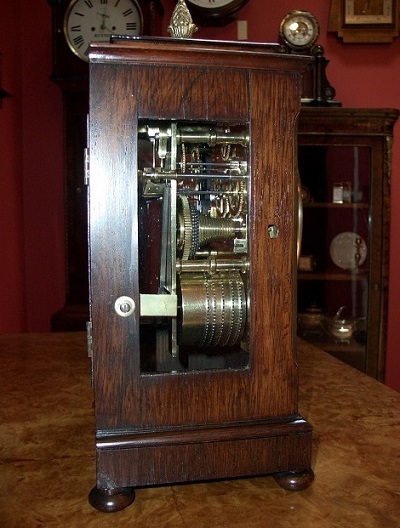 Rosewood case with brass lined quadrants and original acorn finial and bun feet. 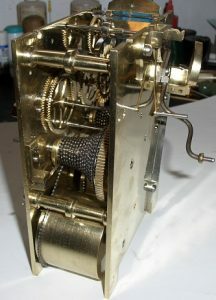 Silvered 6″ dial with Roman numerals and signed “B. Lautier – Bath” with cast brass bezel and convex glass. Two side glass panels and rear glass panelled door to view fine fusee movement. Benjamin Lautier is listed as a clockmaker in Bath from 1790 to 1846 and was a member of the Clockmakers Company. 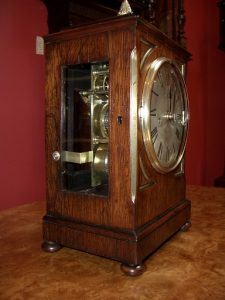 He is unusual in that his wife Ann is also listed as a clockmaker and also his daughter Charlotte who is listed as a clockmaker from 1848 to 1854. This particular clock was made by Benjamin Lautier himself. 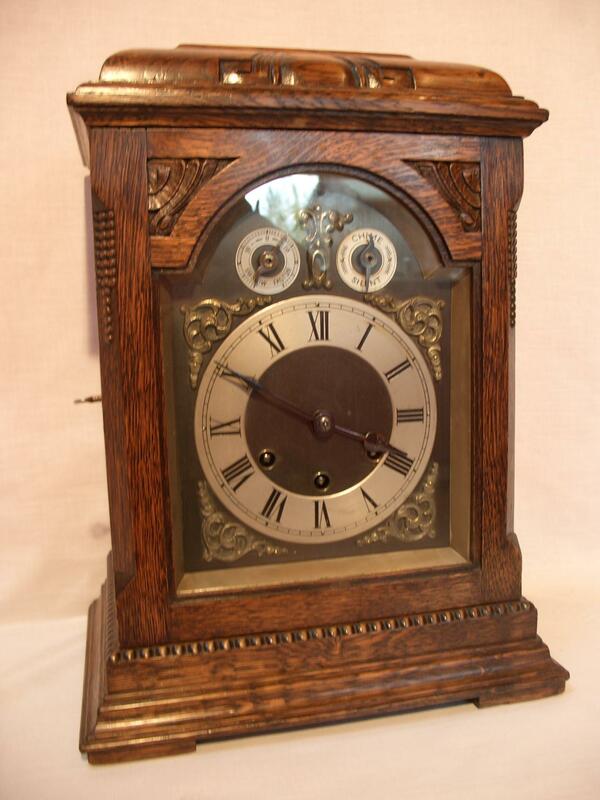 Fully restored and guaranteed for one year. Ref: f0240.